Paul Nuttall, leader of UKIP. He’ll be humiliated – on the advice of his party – if he tries to become MP for Stoke-on-Trent Central [Image: Stefan Rousseau/PA Wire]. Remember when UKIP were going to capitalise on Labour woes by standing for Oldham West and Royton, after the death of the great Michael Meacher? What happened there? Oh yes – UKIP lost. Tristram Hunt was the least popular MP in Parliament, according to the local vote. Only 49 per cent of constituents bothered to turn up and only 19 per cent of his electorate voted him in. But the constituency of Stoke-on-Trent Central is strongly Labour and has been ever since it was formed. Labour supporters were lukewarm on Mr Hunt because he was a Blairite, parachuted in by the party’s right-wingers who had dominance at the time. And just because the constituency recorded a large vote in support of Brexit, that doesn’t mean the Party of Brexit – UKIP – has any chance there. Labour’s position on Brexit is that it supports the will of the people. Paul Nuttall will be humiliated if he stands as a candidate in this by-election. 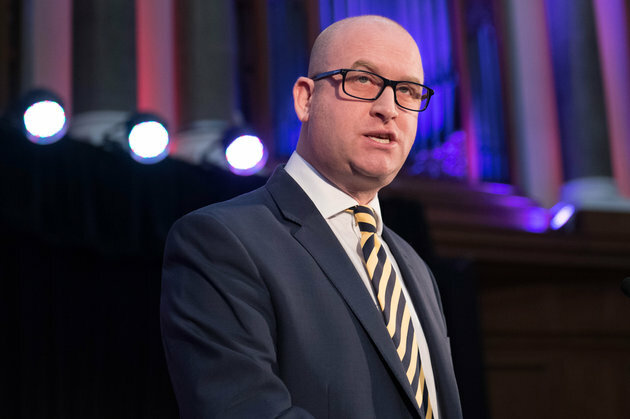 Ukip leader Paul Nuttall is coming under increasing pressure from senior party colleagues to capitalise on Labour woes and stand in the Stoke by-election. The MEP, who took charge of Ukip in November, has yet to confirm whether he will contest the by-election caused by Labour MP Tristram Hunt’s resignation from Parliament. However, senior Ukip figures are adamant Nuttall should stand in the seat where the party came second by 5,179 votes in 2015, despite only running a skeleton ground campaign. I think the Liberal Democrats will do very well in Stoke Central by election. With their silly lie about being the ‘Party of Remain’? You do realise they’re being divisive, and disingenuous? The Liberal Democrat vote at the referendum was very nearly a 50/50 split.